Want to fit more stuff into your photos? Your camera has a built-in Super wide angle feature that automatically pops up when you might need it. When a potential Super wide angle shot is detected, touch Wide to zoom out a bit more. 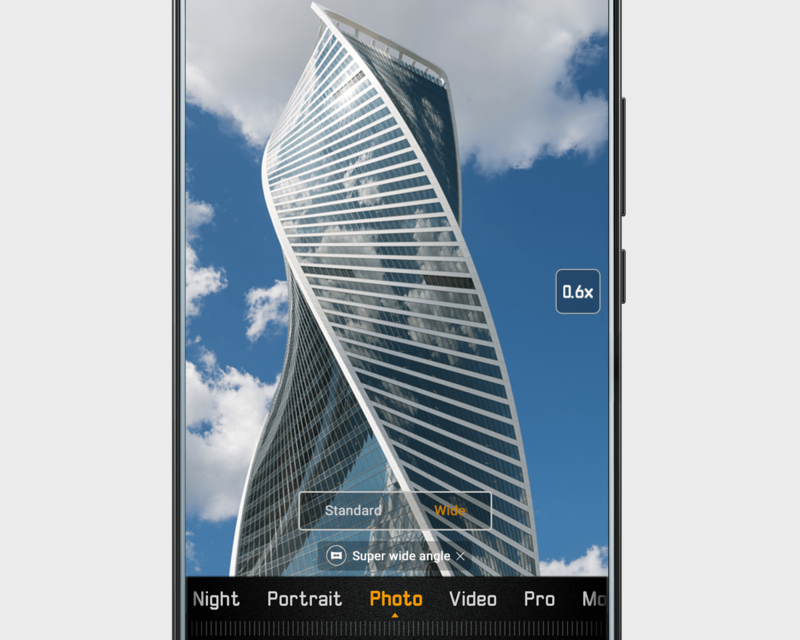 This feature works especially well on group shots, close-ups of skyscrapers, and city views. Bonus: You can also set the same Super wide angle effect manually. Open Camera, and go to Photo mode. Touch and hold the current zoom level to display the zoom slider, and set the zoom level to 0.6x.